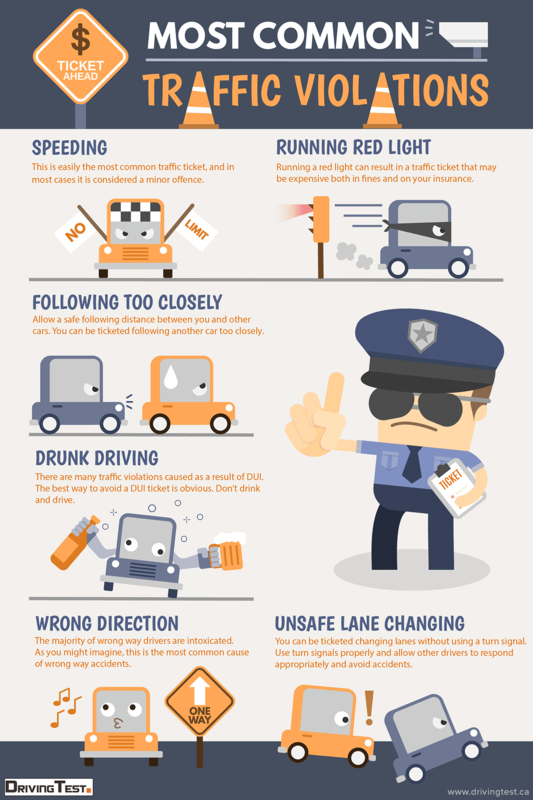 If you’ve gotten a ticket for a moving violation, it can be incredibly frustrating. It is important to strongly consider fighting a moving violation because failing to do so could lead to having to pay a huge fine, points on your license and an increase in your insurance premium. The good news is that you can still have your day in court with a moving violation, and you may be able to avoid the penalties. Every day people across Canada are stopped by police officers and issued traffic tickets. Often, what comes next is a big hassle. These common traffic tickets for the traffic violation are the reason for the majority of traffic stops and also a common reason why people see increases on their auto insurance.